Accomplished nursing executive Cyndy B. Dunlap, DNP, RN, NEA-BC, FACHE, has been selected to join Ascension Providence as chief nursing officer, effective August 20. Ascension Providence is part of Ascension, the largest nonprofit health system in the U.S. and the world’s largest Catholic health system. “We are thrilled to bring Cyndy’s expertise, talent and leadership to our team. Her passion for quality and personalized care will be instrumental in our continued commitment to improving the health and well-being of our community,” said Philip Patterson, president of Ascension Providence. Dunlap has been in health care leadership for more than 20 years. She comes to Ascension Providence from the Texas Hospital Association Foundation in Austin. As vice president of clinical initiative and quality, she collaborated with over 235 Texas hospitals to improve quality outcomes for patients. Previously, Dunlap served as both chief nursing executive and chief nursing officer at Baylor Scott and White in Temple, as well as chief nursing officer at Hillcrest Baptist Medical Center, now Baylor Scott and White Medical Center-Hillcrest. Committed to elevating future nursing leaders, Dunlap served as an academy advisor for AMN Healthcare’s CNO Academy. 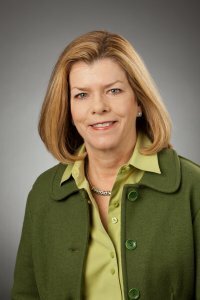 She also served as a member of the Nursing Practice Advisory Committee for the Texas Board of Nursing, and is past board member and past president of Texas Organization of Nurse Executives. She is an advisory board member of Baylor University’s Robbins College of Health and Human Sciences. Additional professional affiliations include membership in American Organization of Nurse Executives (AONE), American College of Healthcare Executives (ACHE) among others. Dunlap graduated from Baylor University with a Bachelor of Science degree in Nursing and continued her studies to earn a Master of Public Administration degree from Texas State University. She holds a Doctor of Nursing Practice degree from Texas Tech University.